Here is a card in traditional Christmas colors and patterns. 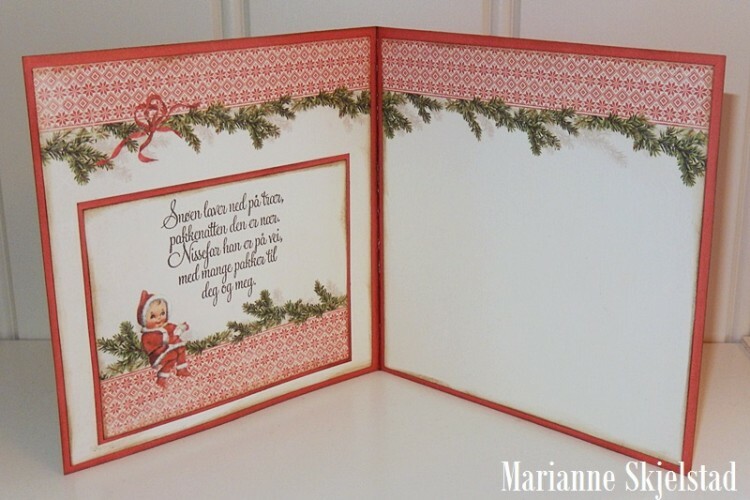 All of the papers are from the collection Christmas in Norway together with red and green Pion Design Palette papers. Et fabelagtigt julekort her MArianne, og som altid har du formået at få det bedste ud de lækre papirer her. 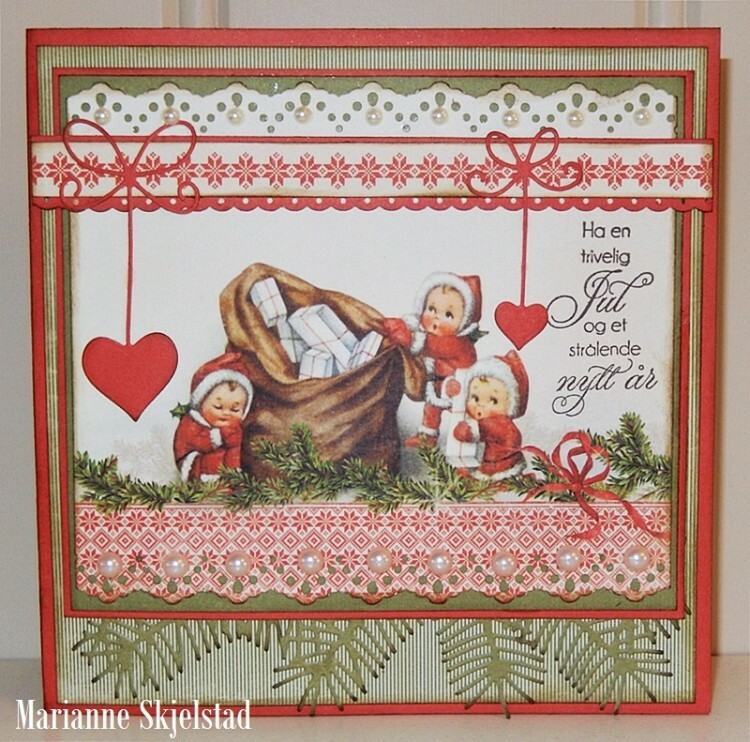 Oh, Marianne, you must know I am absolutely smitten by this beautiful card you made with Christmas in Norway papers!!! I love everything about it, the cut outs, the colors, and the sweet images! !